While some religious groups use their houses of worship as de facto community centers, hosting everything from rummage sales to pancake breakfasts to plant sales to performances, other religious groups operate community centers as completely separate entities from their places of worship. Based on BHP's files, as well as conversations with members of different religious groups, it appears that religious community centers serve an important role, outside of a house of worship, in promoting cohesiveness among minority religious groups. For example, tracing their history to the opening of a Young Men's Hebrew Association (YMHA) in Baltimore in 1854, Jewish community centers not only provided a place for Jewish men and women to come together, but also helped to strengthen or maintain Jewish identity and to prepare new Jewish immigrants for life in the United States. By the middle of the 20th century, as Jewish people began to move to the suburbs, Jewish community centers moved with them, offering new services, such as nursery schools, day camps, sports, and so forth. 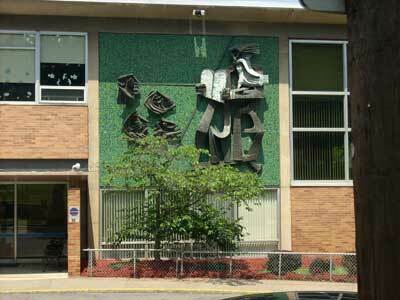 These community centers continue to the present, housed under the umbrella of the Jewish Community Centers of North America . Other minority religious groups for which one may see community centers would include Buddhists and Muslims. Again, as for most resources associated with the social aspects of religion, function will most likely dictate the form of these resources. The religious association of a community center will most likely only be apparent in its name or in historic documentation. 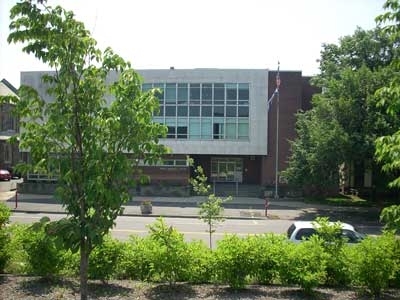 Constructed in the late 1950s, this property has served as a Jewish community center for the people of Wilkes Barre from that time to the present. Currently known as the Jewish Community Center of Wyoming Valley, this property consists of only one building. Constructed in 1957, this property has served as a Jewish community center for the people of Scranton from that time to the present; it has also served as a home for various other community service organizations. Currently known as the Jewish Community Center of Scranton, this property consists of only one building. A sculpture, "Moses and the People," (center photo) is attached to the building's façade. The Russian Jewish boy selling rags, the Italian girl carrying garments on which she and her mother would work at home, and the African-American child reluctantly watching over her baby brother were all doing their bit for the family economy, which for most urban working-class families at the turn of the century required contributions from everyone . When middle- and upper-class Philadelphians visited these neighborhoods around the turn of the century, and saw children in the streets, they saw not children behaving properly by helping out their families, but children neglected and abandoned to the dangers of the streets. …To keep children off the streets and create a kind of public child's world for urban working-class children, reformers established day nurseries... . Many of these day nurseries, such as the St. Nicholas and Frankford Day Nurseries in Philadelphia, were affiliated with religious groups . As the number of women working outside the home has increased, so has the need for day care centers . BHP files contain only one daycare center (adaptive re-use of a building associated with a church complex), but it is likely that there will be freestanding day care centers or day care centers that adaptively re-use other buildings. In addition, as seen with other resources, function will most likely dictate form and any religious association will likely be apparent only in the facility's name or in historic documentation. Originally built as the parsonage for the Methodist Episcopal Church across the street, this building currently houses the church's nursery school. 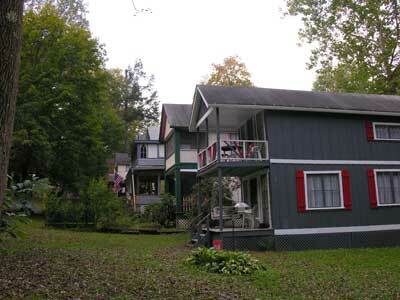 The property consists of just one building. ...typically gathered a scattered rural population into forest clearings for several days and nights of exhortation and prayer led by a squad of preachers and marked by unapologetic emotion and bodily expression . Although most often seen as a Methodist phenomenon, camp meetings were associated with other Protestant sects, particularly those that eschewed more formal services . While camp meetings were fairly successful in winning converts to the particular sects that held them, they also drew criticism from other religious leaders who saw them as chaotic and disorganized . Following the Civil War, camp meetings became less overtly religious, transforming into vacation destinations for those who sought both recreation and fellowship. Sometimes locating near larger cities to draw the urban middle classes, camp meetings also became more permanent around this time period, with cottages replacing the earlier tents . 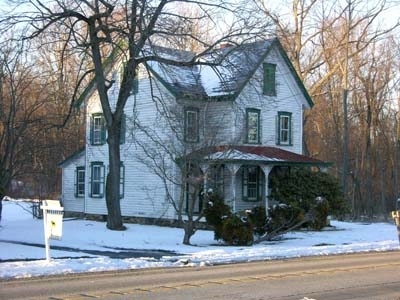 Based on BHP's files, the vast majority of extant camp meetings in Pennsylvania date to this later period of development and are characterized by groups of cottages in styles of the late Victorian era, as well as community building(s), such as tabernacles and so forth. Their layout tends to be variable, with some being laid out in a grid pattern and others being laid out less regularly. As opposed to many of the other resources associated with the social aspects of religion, camp meetings are highly recognizable as such on the landscape. A similar, though distinct, resource during this time period was the Chautauqua. Founded in 1874 at Chautauqua Lake, New York (near Jamestown, NY, and about 40 miles east of Erie, PA), the Chautauqua began as a training course for Sunday School teachers, but gradually expanded into adult education, including other camps and a book club and correspondence school. While it provided recreational opportunities like the later camp meetings, education was always an important function of the Chautauqua . Pennsylvania houses at least one Chautauqua at Mount Gretna in Lebanon County, adjacent to a camp meeting, coincidentally. In the same vein as camp meetings and Chautauquas, many denominations also provided (and still provide) summer youth camps. Established by the Methodist Episcopal Church in 1872, Chester Heights Camp Meeting has served Methodists (and other Christians) from that time until the present. 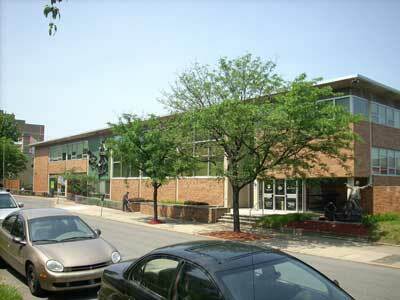 The property consists of approximately 107 resources: 101 contributing buildings and 6 noncontributing buildings. The vast majority of contributing buildings are cottages (some with associated privies); however, the property also contains a dining hall, dormitory, tabernacle, and youth tabernacle. The noncontributing buildings are small scale resources including a garage, public restrooms, pump houses, and a tool shed. 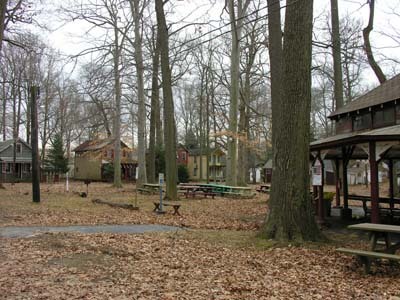 Established in 1849 (near Natrona Heights) under the Methodist Episcopal conference of Pittsburgh, the Pittsburgh and Tarentum Camp Meeting has served Methodists (and other Christians) from that time to the present. The land on which the camp meeting sits was donated by the Brackenridge family for the express purpose of a camp meeting - if that was not possible, it could be used for a girl's school or cemetery - forever. A massive fire destroyed all but one cottage on the property in 1900; the other one succumbed to fire ca. 1980; therefore, all of the resources on the property date to 1900-1910. The property consists of 32 cottages and one pavilion and is open only from April to October. Established by the United Brethren in Christ in 1892, Mount Gretna Camp Meeting has served the Brethren (part of the United Methodist Church since 1968) from that time until the present. While the camp meeting is still held at Mount Gretna, many of the members of the community are not members of the church (a trend that began early in the camp meeting's history). 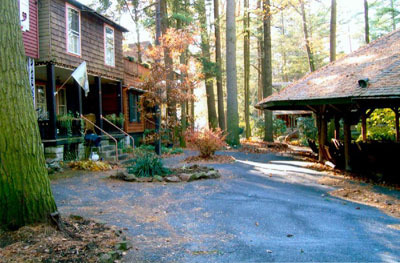 In fact, Mount Gretna is no longer officially connected to the Eastern Pennsylvania Conference of the United Methodist Church. The property consists of approximately 230 resources, most of them cottages, although there is a tabernacle and a modern Methodist church. Jewish Community Centers of North America. "About Us." http://www.jcca.org/about-jcc-association/. Accessed April 25, 2011. Boschee, Marlys Ann, and Geralyn M. Jacobs. "Child Care in the United States: Yesterday and Today." National Network for Child Care. http://www.nncc.org/choose.quality.care/ccyesterd.html#anchor135742. Accessed April 26, 2011. Page 13. This book provides a good overview of the history of daycare in Philadelphia. Boschee Marlys Ann, and Geralyn M. Jacobs. "Child Care in the United States: Yesterady and Today." National Network for Child Care.http://www.nncc.org/choose.quality.care/ccyesterd.html#anchor135742. Accessed April 26, 2011. Bratt, James D. "Anti-Revivalism in Antebellum America." Journal of the Early Republic, 24(1), (Spring, 2004):80. Bratt provides a thorough review of the many arguments against these, and other, types of revivals. Wise, Robert Jr., and Seth Hinshaw. "Chester Heights Camp Meeting Historic District." National Register of Historic Places Registration Form, 2001:section 8, page 6. Howell, Scott L., and Alma D. McGinn. "The Chautauqua Movement and Its Influence on Adult Education Theory and Practice Today." Online Submission (August 3, 2006): ERIC, EBSCOHOST, (Accessed May 2, 2011):1-2.